First, ensure that you are an admin of the page on which you are trying to add additional roles. If you are not the admin of the page, you will see an error message informing you that only page admins can remove or change another person's page role. What Are the Different Roles I Can Assign to People on My Facebook Page? For your convenience and security, Facebook has 5 different page roles that can be assigned. Admin - Admins are the most powerful role on the page. They can manage page roles and settings, edit the page and add apps, create and delete posts as the page, send messages as the page, respond to and delete comments and posts to the page, remove and ban people from the page, create ads, view insights, and see who published as the page. Editor - Editors (the role that you are most likely to assign your new page admins) can edit the page and add apps, create and delete posts as the page, send messages as the page, respond to and delete comments and posts to the page, remove and ban people from the page, create ads, view insights, and see who published as the page. Moderator - Moderators can send messages as the page, respond to and delete commenst and posts to the page, remove and ban people from the page, create ads, view insights, and see who published as the page. Advertiser - Advertisers create ads, view insights, and see who published as the page. Analyst - An Analyst is the least powerful role, and can view insights and see who published as the page. Why Shouldn't I Just Make Everyone an Admin? If you make someone an admin, it means that they can add and remove anyone of any role - including yourself. If you lose access to your Facebook page because another admin has removed you, Facebook will not help you regain control of your page and advises that you need to ask someone else who is an admin to re-instate you as an admin, even if you are the original creator of the page. As a result, for security reasons and access control, you should assign as few people as necessary the Admin role for your page. While logged into your Facebook page, go to the page Settings, then to Page Roles. If you are the page admin, you should be able to see the Page Roles prompt. Note: In order to add a person by name, that person must be your Facebook friend. You have a business to run, and as an independent auto dealer, you want to spend as much of your time with your customers and running your lot. As a result, you likely don't have the time to make every post to your page in real time. Making all your posts at the same time when you're not busy also means that you might miss the times that your audience is actually online. Thankfully Facebook has tools to help you schedule posts for publishing in advance. Go to your Facebook page and write up your post in the Status box. Include any images or links that you want your posters to see. When you are finished, click the triangle next to the blue Publish box. On the drop-down list, click Schedule. The Schedule Post module will appear. Enter the date (default is today's date) and time you want your post to be published. From this menu, you can also use save a draft of a post. This is useful if you have a post that you need more info for or need to get reviewed before you can post it. To do this, click the triangle and instead of clicking schedule, select Save Draft. To review your scheduled posts and saved drafts, while on your Facebook page, click Publishing Tools. On the left side, you will see three options: Published Posts, Scheduled Posts, and Drafts. Clicking on any of those will let you access your posts in the categories. If you want to modify a scheduled post, go to the scheduled post section and click the post you want to modify. You can select to edit the post or, under the downward arrow, you can choose other options, like Publish (publishes the post immediately), Remove Schedule (removed scheduling and moves the post to Drafts until published), Reschedule, Backdate (publish the post but it will show that it was published at an earlier date), or Delete. Have questions? Still having issues? Contact us today. Facebook page content can be hard to figure out, and depending on your audience, there are different needs. As auto dealers, there are some obvious things to share, but this guide will give you a good blend of targeted information to keep users engaged with your auto dealership Facebook page without making them feel like they’re having endless advertisements shoved down their throats. Even if you’ve been making Facebook posts for awhile in other areas, you can use the info below as inspiration for fresh content you can add to your Facebook posting repertoir. Cars in Your Inventory - How do you decide which cars to feature? One approach is to use your Facebook page to highlight new inventory. However, if you want to keep your inventory fresh, you should go beyond that: highlight speciality vehicles that might appeal to particular customers (i.e. a car with an in-car entertainment system, low-mileage vehicles, after-market items like rims), or you might choose cars that you've had on your lot for awhile or that aren't getting good traffic or leads. Displaying vehicles this way can help drive traffic to your website and your car lot, and can effectievly highlight your inventory for max sales potential. Helpful Info for Auto Shoppers - This can be many things: content like frequently asked questions (FAQ) from your own website, articles from other sites, or even just a quick blurb. What kind of information is good to share? APR info, vehicle safety ratings, payment calculators, and vehicle recall information. Community Events - Show your customers that you care and that your dealership is a good source of news so that they’ll follow you. Auto dealers are local businesses, and it’s good to keep up with your neighbors. If there is a popular event going on or something you or your followers think is worth highlighting, post about it! This could be a summer concert series at the park. Community Outreach - If there are volunteer opportunities in your community that you are involved with or that your community needs help with, highlight those too. Is the local high school band having a bake sale to get new instruments? A church having a garage sale? Food bank in need of peanut butter? Donate your time and your public space by posting it. Your community will be grateful. Puzzling, Humorous, and Thought-Provoking Posts - Sometimes people just need a laugh. Posting clever (and inoffensive) jokes or human interest stories, especially those related to car searches, tends to come across pretty well (and often gets shared!) Posts that inspire response and interaction with your page will help your fans' friends to see the post and will make them more likely to visit your dealership’s Facebook page and/or website. Local News - During the Spring 2015 floods in Texas, many Texas auto dealership Facebook pages posted information that helped locals stay in the loop and to stay safe. This included flash flood warnings, road shutdowns, and school closings. Providing this sort of timely information that people can share with their friends and loved ones will establish you as a trusted information source. These are just some of our suggestions from what we've seen performs best. What other things could you do to increase traffic, shares, or engagement? If you’ve been making Facebook posts for awhile, what have you found works for you? What’s your current blend of ‘car advertising’ to other content and how well has it worked for you? If you have any questions or suggestions, contact us. According to the GlobalWebIndex, the average time of the use of social media sites has risen to consume 28% of online time or 1.72 hours a day. Facebook pages are important for businesses; they give you a strong social media presence you can use to interact with your customers and provide them with information and news that is relevant to your business. One caveat: you will be creating a new Facebook Page, not a new Facebook profile! Facebook profiles are for people, whereas Facebook pages are for businesses. Facebook pages are publicly accessible and have many more options for offering content and serving it to your customers. It also allows you to give access to multiple people to help run your social media posts, running ads, and more. While logged into Facebook, visithttp://www.facebook.com/pages/create. Being logged in is important. Your Facebook Page will be associated with your personal Facebook account. This allows you to manage multiple pages from one account and is extra useful if you have multiple dealerships or businesses. Choose Local Business or Place as the business type. Enter your Business information - Your business name, address, and phone number go here, so that people can find your business and contact you if they have questions. Add a profile picture. People want to see what you're about! This should be your logo or an image of the type of cars you sell if you specialize in a certain type of vehicle. Add a Banner- You can make this one of many things. 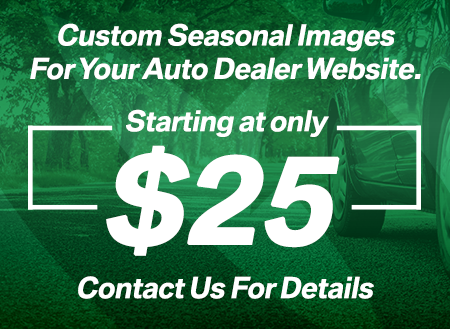 It can be photo of your lot, your website banner, your full logo, or any pricing specials that you are currently running. If you need help figuring out how big your banner should be, a good guide to how big your images can/should be is the Facebook Page Cover Photo Size, https://www.facebook.com/CoverPhotoSize. Make changes, update info, then publish the page! You made it! Great job. There are other things that you’ll add, such as information about your business, start date, business hours, and of course, a link to your business website! Add as much as you can to help your page’s search engine optimization and ranking, as well as to provide customers with the information they need to know that sets your business apart from the crowd. If you have any questions? Let us know! If the link doesn't display correctly, wait a few seconds, then click the "Fetch New Scrape Information" button again. Facebook should be able to rescrape the link and get a new image. Until your share preview includes an image, you'll need to rescrape the link. It shouldn't take more than two or three times for Facebook to get the right data. Still having issues? Have more questions? Contact us today.